Columbia Hills opened in October 2018, bringing 229 new affordable homes to the Columbia Forest neighborhood. 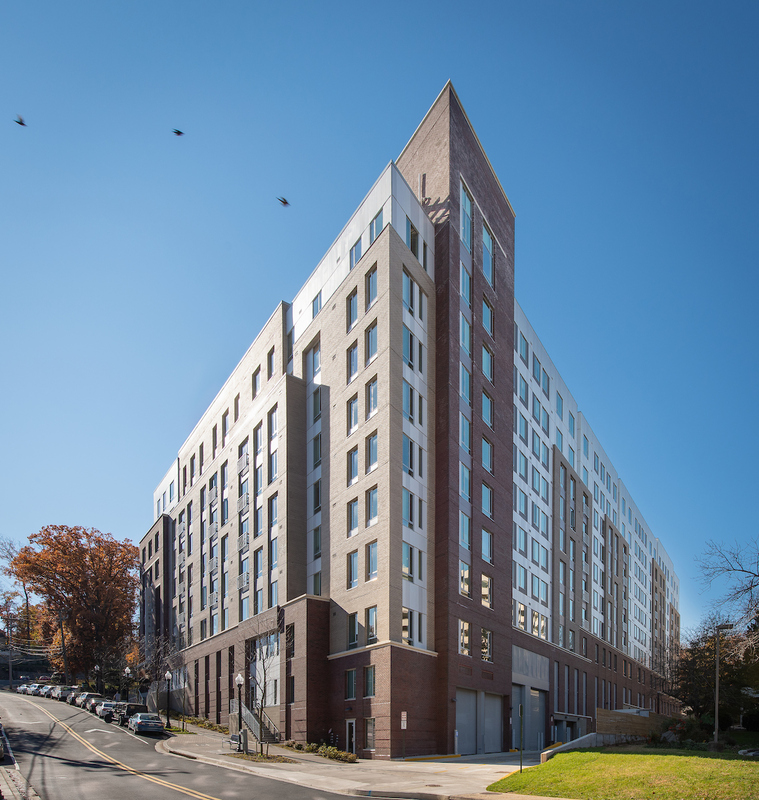 One of the first projects to be developed under Arlington County’s award-winning Columbia Pike Neighborhoods Plan, this development includes 10 permanent supportive housing units and 13 fully accessible units to meet the diverse needs of the community. Learn more by reading our Columbia Hills Property Investor Sheet. Columbia Hills is now leasing! Submit your application for Columbia Hills! Westover is a vibrant neighborhood in northwest Arlington that is facing a critical shortage of affordable homes. In 2016, APAH purchased 8 buildings (68 units) in Westover to preserve affordability amidst the trend of market affordable apartment demolition. Renovations for the Fisher House II buildings began in Spring 2018. Learn more by reading our Fisher House II Property Investor Sheet. Fisher House II is now leasing! Submit your Application for Fisher House II! 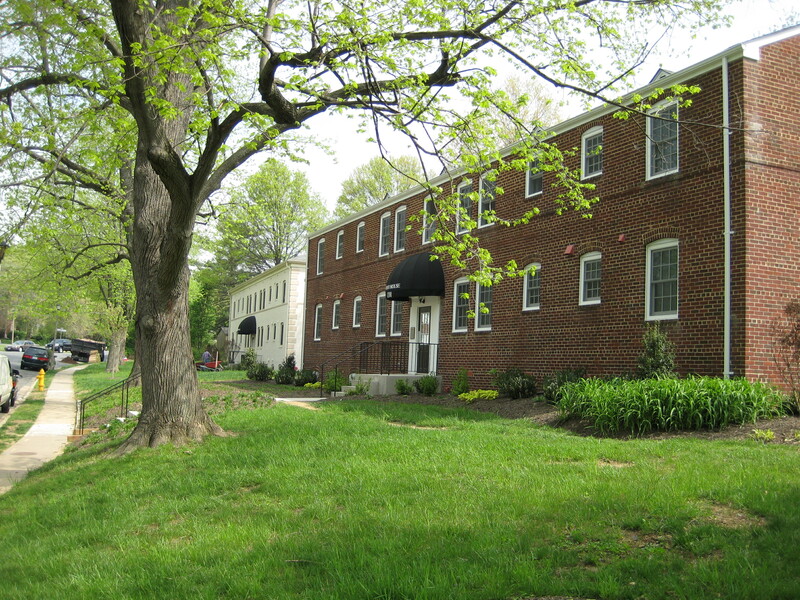 In 2012, the Arlington Presbyterian Church approached APAH to create a space that would both provide affordable housing and serve as a place of crossroads and connection for the community. The congregation selected the name Gilliam Place for the new affordable housing development to honor Ronda Gilliam (1906-1970), a church elder who was a steward and visionary in the community. Gilliam Place’s 173 new affordable units will include 11 barrier-free units to meet the needs of persons with disabilities. Learn more by reading our Gilliam Place Property Investor Sheet. Gilliam Place is now accepting waitlist applications. Move-in’s are expected to begin in summer 2019. Prospective residents can learn more here. Submit your Waitlist Application for Gilliam Place! In 2014, Arlington County Board launched the Western Rosslyn Area Planning Study (WRAPS) process to develop a new vision for the area. Formally adopted by the Board in 2015, this integrated planning effort of more than 1 million sq. feet – including a new Arlington Public School, market rate housing, and fire station – enabled Queens Court to be redeveloped from our existing 39-unit property into a 12-story property with 249 units of committed affordable housing. 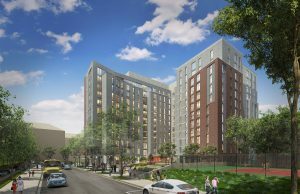 In February 2017, the Arlington County Board approved APAH’s request to redevelop Queens Court. 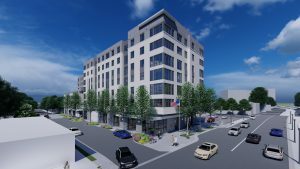 APAH secured the necessary LIHTC tax credits in 2018 and will break ground in Spring 2019. Learn more by reading our Queens Court Property Investor Sheet. 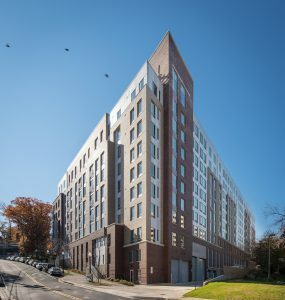 In 2016, the American Legion Post 139 selected APAH to redevelop their site in Virginia Square to create 160 affordable apartments and a new, modern Post facility. The Arlington County Board adopted the Washington Boulevard and Kirkwood Road Special GLUP Study “Plus” and Concept Plan in 2017, unlocking the site for greater density, and the project received site plan approval in February 2018. The affordable housing development will have 50% veterans preference. APAH applied for tax credits in 2019 and expects to break ground in 2020.